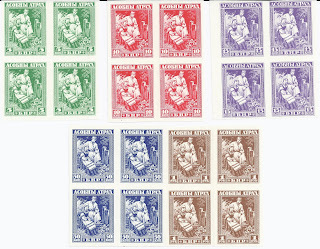 Trevor Pateman's Philately Blog: Slania? Yes. But what about Zarins? Every dealer at stamp exhibitions has been asked for examples of the work of Czeslaw Slania (1921 - 2005), the engraver of many beautiful stamps. Look on the Internet and you will find websites devoted to him with comprehensive listings of his work. But Rihards Zarins (1869 - 1939)? No one has ever asked me for examples of his work. You can find a short Wikipedia page for him but I don't think you can find an inventory of his work. He wasn't an engraver but rather a designer. Zarins (sometimes Zarinsh or Sarrin) was a highly trained graphic artist who became Technical Director of the Imperial Russian Printing Office. In this capacity he was involved in the design and production of the War Charity and Romanov Tercentenary stamps. Later, he is credited with the Kerensky Chainbreaker stamps. In 1919, he was appointed Director of the Latvian State Printing Works and designed several early stamps - the Dragon Slayers for example. He retired in 1934. 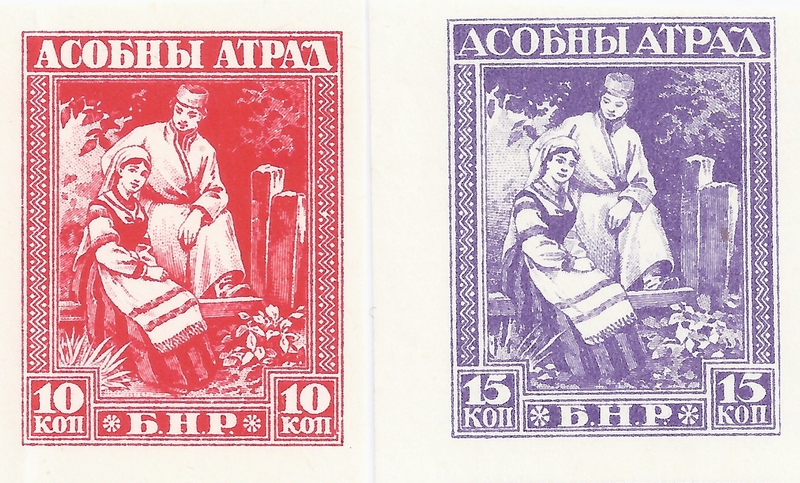 He is also credited with the design of the unissued Asobny Atrad stamps of the Belarus National Republic. I think these were printed in Latvia and sheet margin enumerator marks are like those found on Latvian sheet margins of this period, so they were probably printed in the State Printing Works. 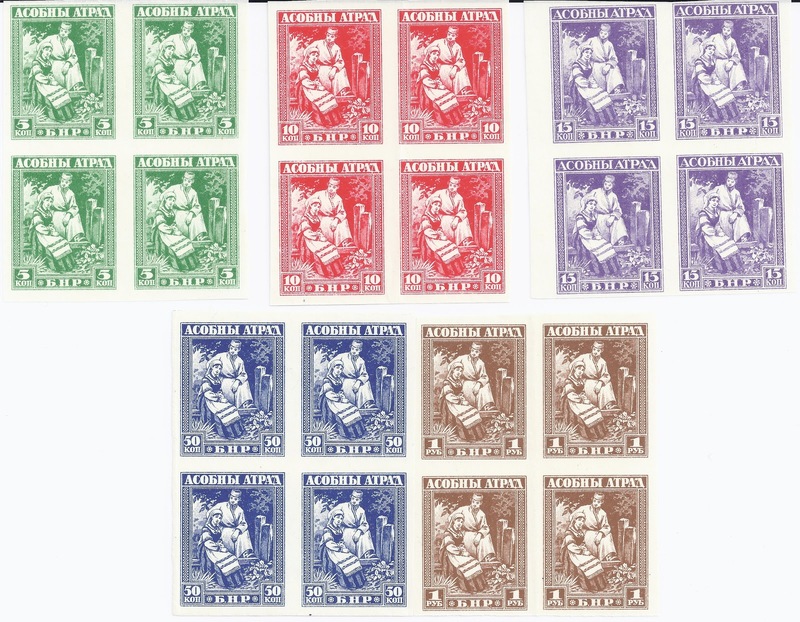 To my mind, all this shows a serious intention behind the production of the Asobny Atrad stamps - they were not cheap and quick productions for some philatelic swindle. Maybe out there somewhere is a Zarins collector who knows a lot more and who has produced an Inventory of Zarins' work. If not, there is an interesting challenge here. 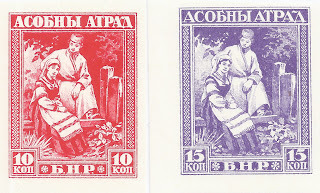 My illustrations of the BNR stamps show ungummed, imperforate examples from the original printing. Forgeries exist but are easy enough to recognise.